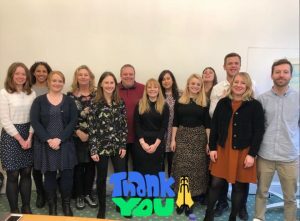 We are delighted to have been able to host a meeting for our charity partners the British Heart Foundation at our offices in St James’s Square. They sent us this great photo by way of thanks! We were happy to be able to help and hope the meeting was a fruitful and productive one.